Each paid tool on this list will give you much more data than the free tools can deliver. Most of them allow you to export keyword data, backlink data, traffic reports, SEO audits, and more. The rest of the (free) tools on the list are also worth looking into if you simply wanted to get a good guess on a website’s monthly visitors. Ahrefs is not a free tool. It’s a paid tool – with a monthly subscription fee, similar to SEMrush. If you are turned off of any of these tools because they have a monthly fee, that is understandable. I always try to seek out free tools whenever possible. But the fact is, you gotta pay to play in the SEO world. The best SEO tools are typically paid tools. 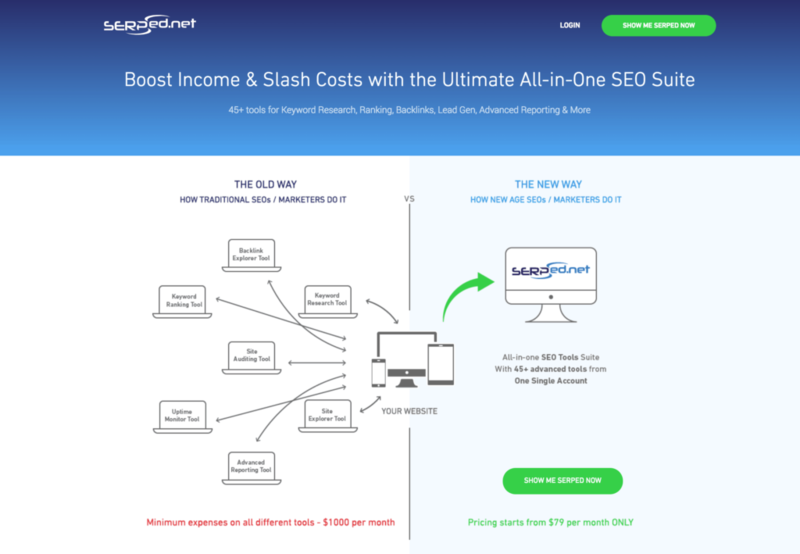 If you are looking for the best bang for your buck, Serped, (see #3) is my favorite SEO tool that combines data from many other paid SEO tools, but for a whopping discount compared to if you paid for each solution separately. Back to Ahrefs – This is one of the most popular SEO tools on the market and for good reason. In fact most SEOs I know either use Ahrefs or SEMrush (or Serped). Those with bigger budgets usually pick ahrefs, and those that want to save a good deal choose Serped. Also many choose SEMrush since it is slightly less expensive compared to ahrefs. I personally really like all three. There are pros and cons of each, but Ahrefs seems to have a bigger database of keywords and links. However, in terms of measuring traffic, looking at keywords, and other general SEO tasks, Ahrefs and SEMrush are very comparable. I’d say another benefit of Ahrefs is that the keyword difficulty metric seems to be a little bit more accurate than the competitors (this could be due to their larger databases, or just better calculations). Also, their “authority” metric – DR (Domain Rating), seems to be one of the most accurate measurements of a website’s authority. 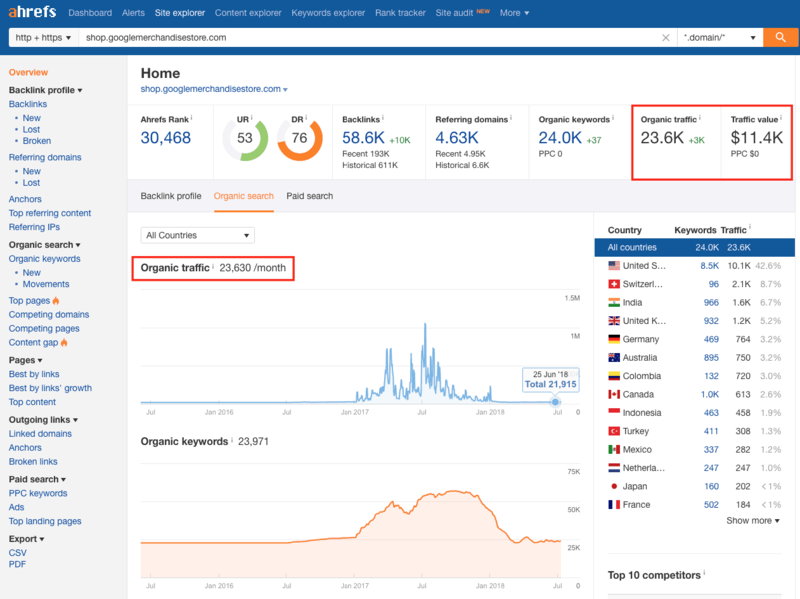 Another main contender in the SEO game is SEMrush. Its the arch nemesis of Ahrefs, and a good contender to be in the top 3 SEO tools ever made. Besides all the other SEO tools, SEMrush is great at analyzing traffic. Similarly to Ahrefs, you can get a pretty good picture of what the unique monthly visitors are for a site. You can also see the competitive data such as backlinks and keywords. Just like Ahrefs, you can then export this data and do some more analysis in Excel or Google Sheets. SEMrush also has some keyword difficulty metrics as well, however, I find that Ahrefs difficulty is a little bit more accurate. Serped.net also has an awesome keyword difficulty score/ competitive analysis and is one of my favorite tools to use for competitor analysis. 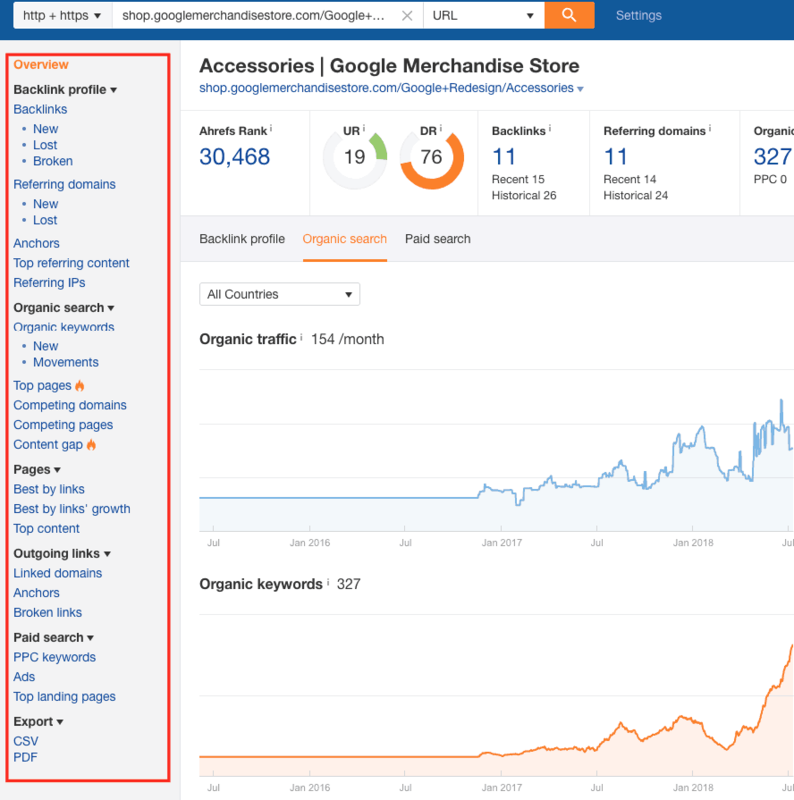 Despite Ahrefs coming ahead on certain aspects, I still really love SEMrush; they have some great tools such as the keyword magic tool other audit tools that are nice. I think SEMrush offers a great bang for your buck. SEMrush allows you to do pretty much the exact same thing as Ahrefs, but it is much cheaper. One of my favorite SEO tools on this list – because there are so many different tools in one subscription, is serped. Under the “what ranks where” tool you can type in a domain and it’ll give you the traffic of each URL. 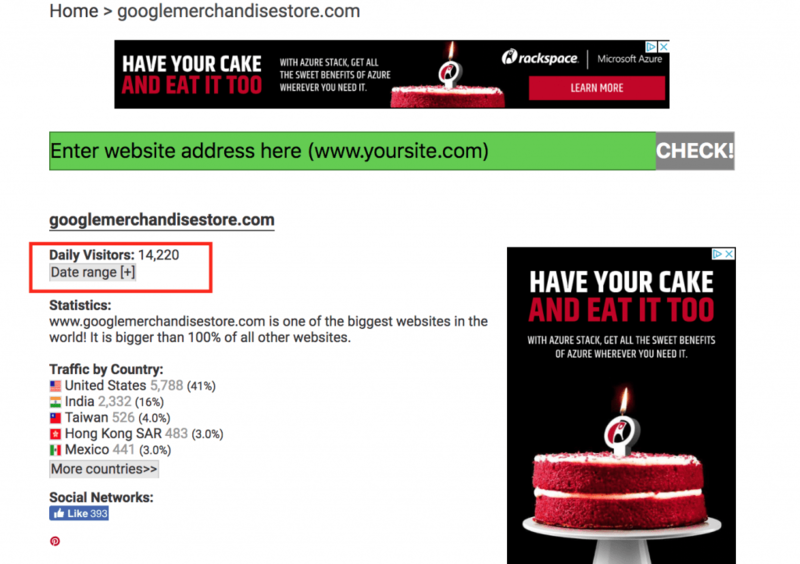 Note that it does not show traffic of the domain as a whole. This may not be as useful as some of the other tools on this list because it doesn’t show visitor data at the root domain level. So if you are only looking for visitor stats, you may be better off with another tool. But this comprehensive app is very powerful for SEO in general. 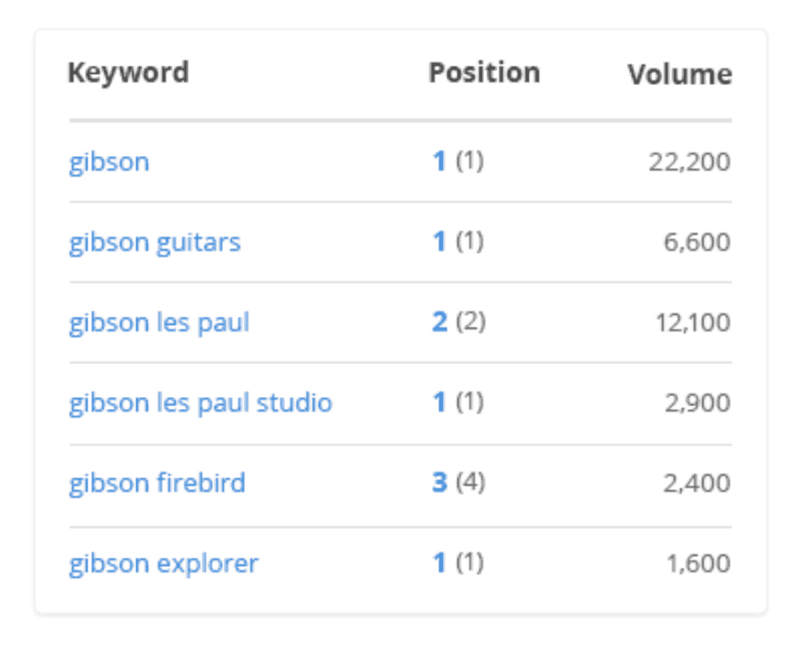 This tool is awesome because it also connected to other keyword research tools. 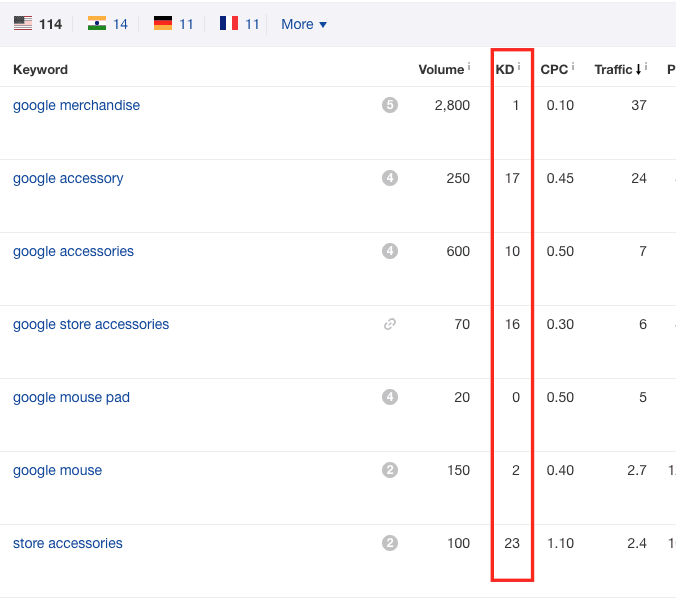 For example, simply click on a keyword and you see a whole host of competitor metrics for that keyword. The biggest benefit of this tool is that you literally have hundreds of other SEO tools in one. 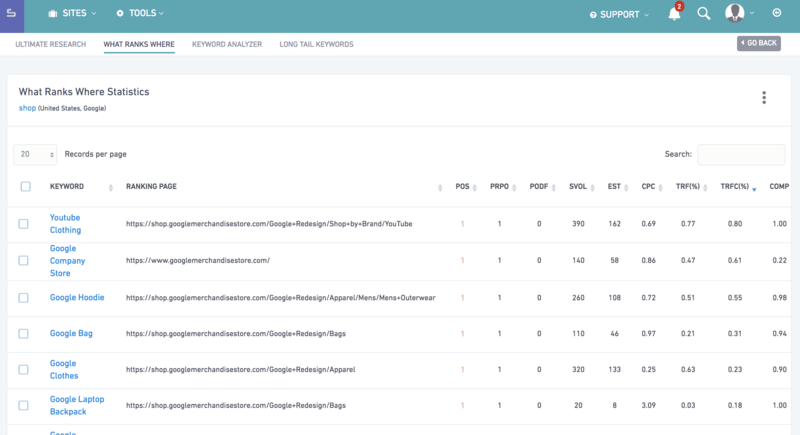 In fact, serped brings in data from SEMrush, Moz, Majestic and much more. One best benefit of this tool is it is free – however only to a certain point. 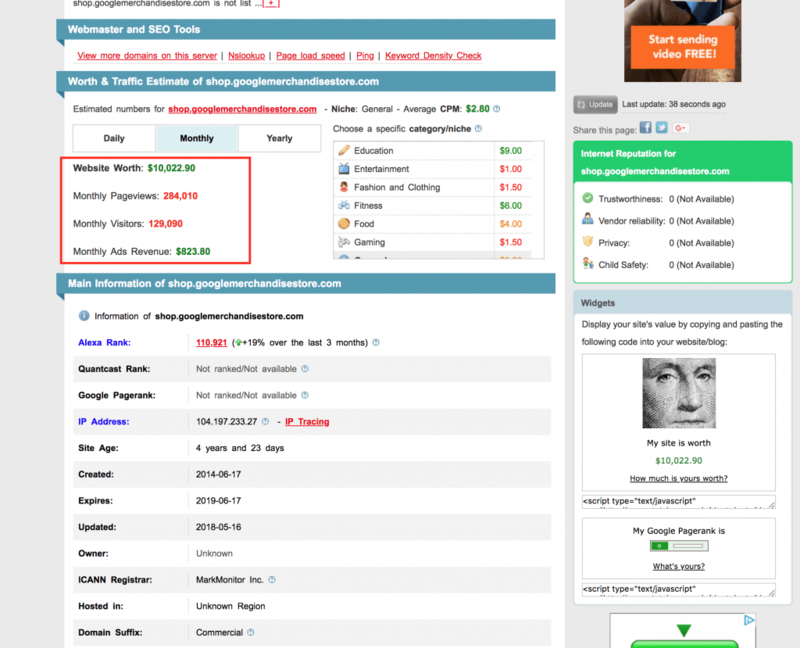 If you were on a budget, you can use their free version to check the visitor stats of a handful of websites. However, when your usage increases, you’ll need to upgrade to a paid account. The nice thing about this tool is there is a free version you can use, that is limited. The drawbacks to this tool are the visitor data numbers seem to be overestimated by quite a bit and it doesn’t seem to work as well with subdomains – when targeting the subdomain directly. Alexa is a very popular and great tool. Alexa has been very popular for a long time. I remember SEOs were using Alexa rank way back in the early days of SEO. Though it isn’t as popular these days, Alexa does have a very useful traffic estimator. And best of all, it is completely free when using their browser extension. Alexa doesn’t appear to have a free version on their website, but their handy browser extension is. Otherwise, to get more data, you need a paid plan. As far as visitor stats, you want to be looking at the traffic rank in the US. This is actually surprisingly pretty accurate (for a free tool), but it does overestimate it. 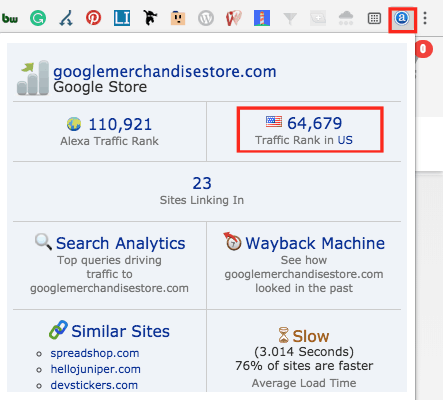 Keep in mind that with the Alexa tool (and other tools for that matter), it is more accurate with higher traffic websites. The bigger the site, the more accurate these tools are going to be. Likewise, the smaller websites that you test will be less accurate. This is just the nature of statistics and how Alexa works to calculate traffic. Essentially, larger websites have a larger sample size that they can draw from, and thus tend to be more accurate. 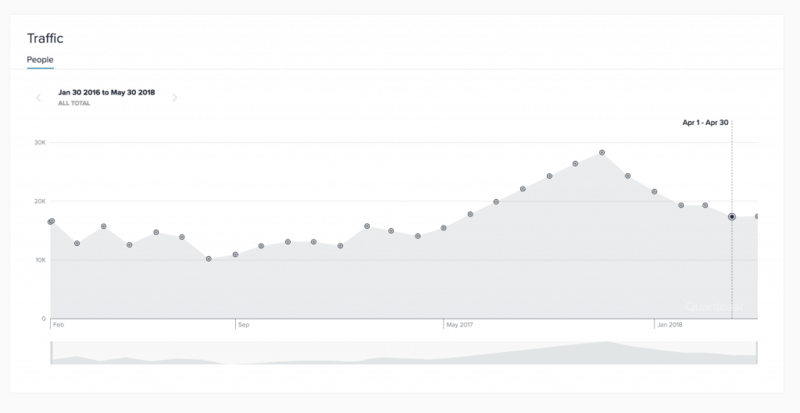 There’s also Alexa Rank, which has been a popular metric back in the day for SEOs. It still is for some people. However, Alexa rank is not necessarily showing traffic data. It’s more of a ranking of all the websites. The lower the rank, the higher the traffic the website gets. Like if you are number 1 (Google), then you get more traffic than all of the other websites. Is the paid Alexa plan worth it? 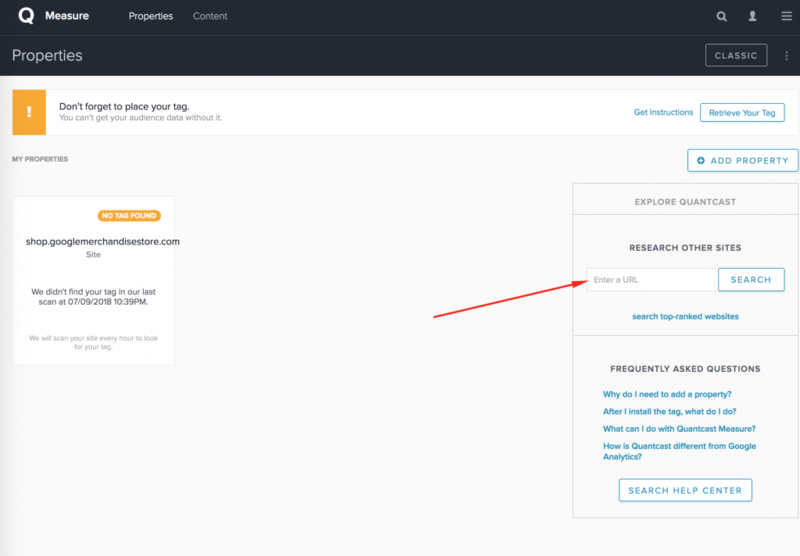 Alexa (owned by Amazon) has had a long history as being apart of any SEO practitioners tool belt… However, I found that the paid version of the tool was lacking compared to competitors. For that $80 per month, you’d be much better off with a serped account or SEMrush. Google AdWords Display Planner may not technically belong on this list because it isn’t a competitor analysis tool like the other tools on this list. However, it is worth mentioning just because it is free and offers some good insights (though Google is trying to rid of the standalone version of the tool). 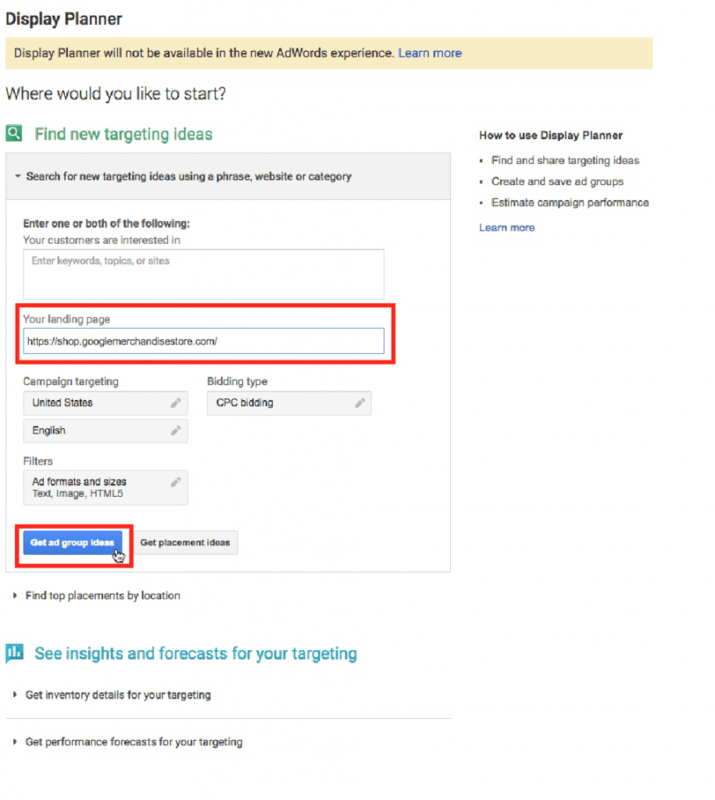 Google Adwords display planner can be used to gain insight on impressions. It also has some nice demographics data as well. However, this tool will not estimate the actual visitor data. Next up on the list is Quantcast. This is an analytics tool mainly directed at measuring and data on your own website. However, there’s also a section where you can research other websites – for free! The biggest drawback to this free Web site traffic tool is it didn’t seem to work with subdomains. For example, I’ve typed in “https://shop.googlemerchandisestore.com” and it didn’t work. Then I typed in https://googlemerchandisestore.com” and it worked. Visitors detective is another popular tool that you can use to estimate unique visitors. The best part about these tools is completely free.! One unique feature (especially for a free tool) is that you can change the date range. So if you want to look at visitor data from one day or 30 days, the choice is yours. Even though it is free, the drawback to this tool is it doesn’t allow you to check subdomains. Also, it seems to overestimate traffic quite a bit compared to real-world data. It seemed to nearly triple the amount of actual traffic you get. So if you’re getting 2,000 daily visitors in analytics, it may show closer to 6,000 daily visitors. So, again, keep in mind that each of these tools has different metrics (their own scale) that they use and thus should be used only as a relative measurement of a site’s unique visitors. Statshow is a great free website statistics tool, which includes a visitor statistic. 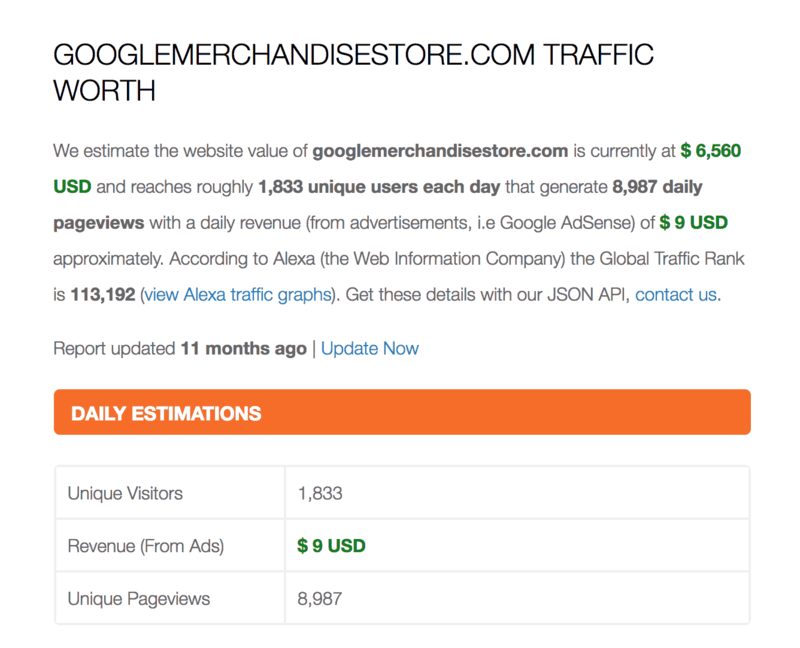 This tool can show you estimated numbers of traffic from a daily yearly or monthly view. The benefit of this is it’s free. The drawback to it is that the traffic numbers don’t look very accurate. It looks like they overestimate the monthly visitors quite a bit. This tool seems like one of the most accurate out of all the free traffic estimator tools. However, it doesn’t look like you can enter subdomains. What’s your favorite traffic checker? Maybe you like free solutions like the Alexa Extension or SiteWorthTraffic. Or maybe you opt for the all in one SEO tools like Serped, SEMrush or Ahrefs. Either way, there is sure to be something that fits your needs. These are the best tools for the job, that I know of. Is there a good tool I missed? If so I would love to hear from you. Also, what is your favorite competitor analysis tool? Previous PostAre Traffic Estimator Tools Accurate? Next PostAre Links From Lower Domain Authority Bad? No problem Brenan, thanks for your input! I am a big fan of Ahrefs as well. Yeah sometimes it will take time for ahrefs to gather all the data on site. I wrote another post that goes over the accuracy of each tool if interested. Surprisingly, some of the free tools were most accurate in terms of how close they are to real analytics numbers.